We’ve been digging deeper into the New Testament in our house this spring. 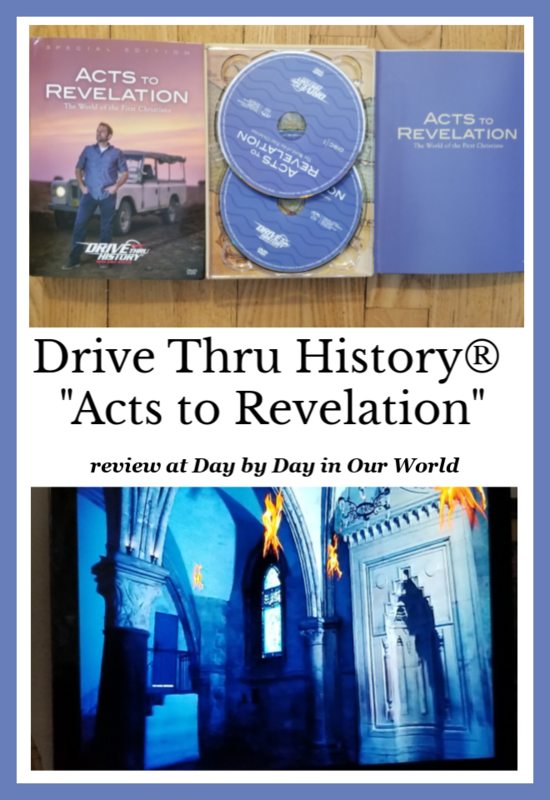 This was made possible a copy of Drive Thru History® “Acts to Revelation” for a Homeschool Bible Curriculum from Drive Thru History® for review as part of the Homeschool Review Crew. As always, all opinions are our own. One of the aspects of living a Christian life is to follow Christ’s example of how to live our lives. The best way to know Christ’s teachings is through reading Scripture. Beyond just the Gospels which tell of Christ’s life and death, the study of the early Church is important for guiding our lives. Reading from Acts to Revelation not only reveals the struggles of the early Church, but provide us great teachings on how to be followers of Christ. This new series from Drive Thru History® takes you on a journey alongside the early Church. Each of the episodes covers a different section of the New Testament starting with Acts of the Apostles and ending with Revelations. 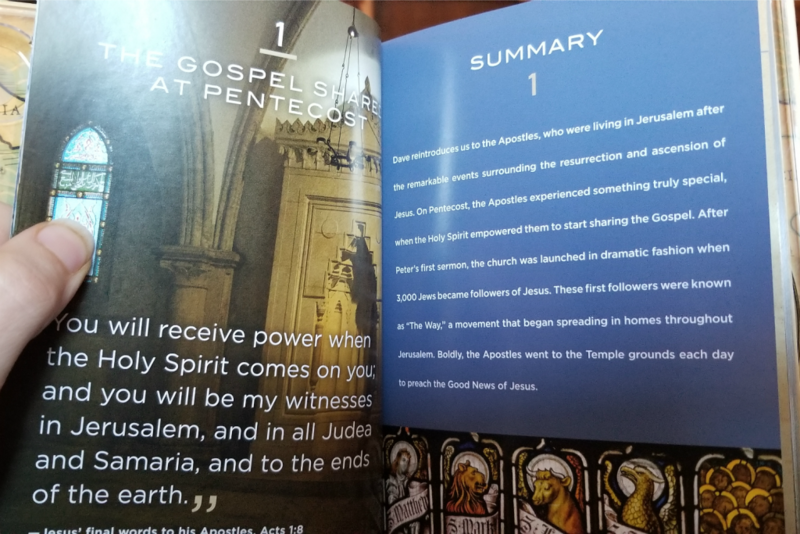 The series picks up after Jesus’s life, death, and Resurrection which was presented in Drive Thru History® “The Gospels” which we reviewed a few years ago. On-site locations include Jerusalem, Turkey, Cyprus, Greece, Malta, and Rome before finally wrapping up the tour around the Mediterranean region to visit the seven churches of Revelation in Asia Minor. There are 18 episodes in this series on 3 DVDs with a study guide that summarizes each episode as well as providing questions to spark discussion. The episodes are approximately 23 minutes in length. 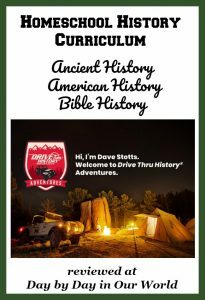 Like earlier series of Drive Thru History®, this one combines footage of Dave Stotts walking amid the places where the early Christians walked. His sometimes corny humor punctuates a delivery of key information about the history and places being explored. Although I hope and pray to someday visit the Holy Land, I know that it may be a while or never come to fruition. 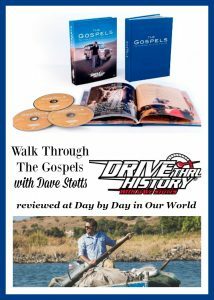 Watching Drive Thru History® helps to bridge that gap allowing us to see all the different key places in Bible history. Not quite the same as seeing it in person, but a great alternative for many of us. Something that struck my youngest son as Dave Stotts walks through ruins of ancient cities is how different life would have been for the Apostles. Beyond the lack of modern amenities we are used to having (e.g. indoor plumbing & central heating), the difference in space for a family home is drastic. As a homeschool mom, I really appreciate the short study guide. Watching a show can be more passive for learning. So, having a way to refresh is important to me. Using it allows me to check what the boys have gleaned from the episode. 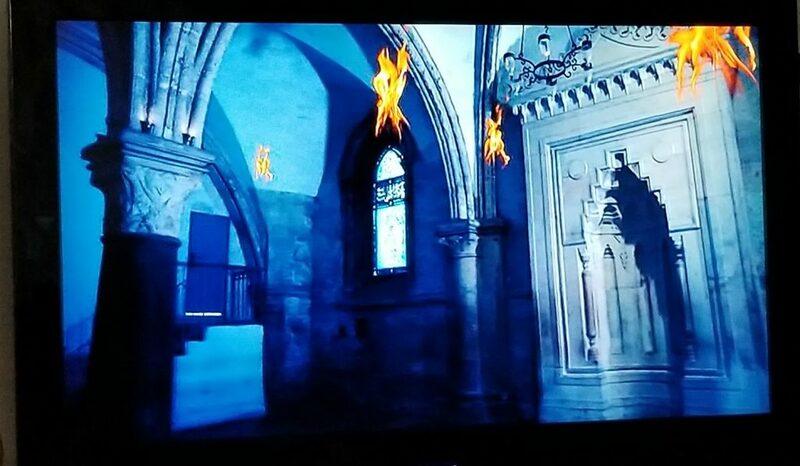 It also can spark further exploration of the Scripture and time period. Additionally, I love the closing of each episode encouraging viewers to dig into the actual Scripture. Nothing is a substitute for reading the Bible. Like past series, this one is a great addition to any Christian family’s collection. You can glean much just from watching the series. However, I believe that using the study guide and reading the Scriptures referenced at the end of each episode will make it an opportunity to grow in faith. An ideal time to walk through this series could be during the Easter season. Do you and your family enjoy digging deeper into study of Scripture? Would this particular series be appealing to someone in your family? Don’t just take my word for how we found this to be. Visit the Drive Thru History® review post on the Homeschool Review Crew website to see what other homeschooling parents thought about this book.